About 4 percent of American mobile phone owners aged 12 and older have downloaded full digital music songs over-the-air in the past 30 days, doubling proportions seen in 2005, says Ipsos North America. Males are twice as likely as females to have ever downloaded full songs. Teens are the most likely to have ever done so (11%), with younger adults 18 to 34 being the next most likely (8% among 18 to 24 year olds and 7% among those 25 to 34). Some 14 percent of U.S. mobile phone owners say they have full-song download and playback capability. On average, over-the-air mobile music downloaders have 6 tracks stored on their mobile phones, similar to the number of ringtones stored. 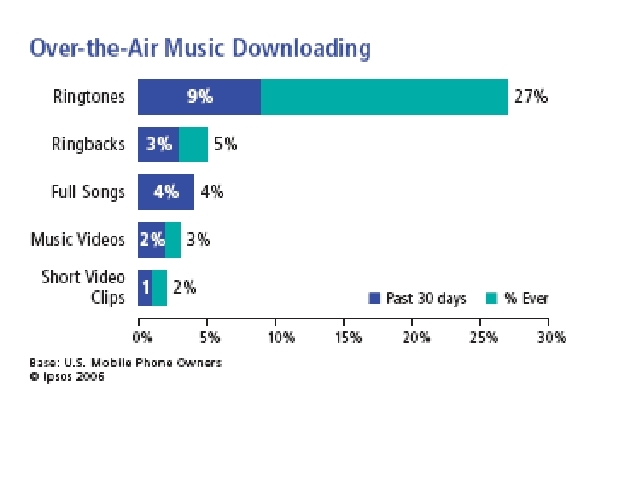 The average mobile music downloader spent roughly $7.00 in the past month on ringtones, songs and ringback tones. Assuming this forecast is correct, we can also assume that cable companies will have something like 25 million VoIP accounts. And since cablers sell POTS replacement service, we can assume that nearly all those 25 million accounts will come at the expense of telcos. You might be thinking that is bad enough, representing something like 15 percent of existing POTS lines. But it might be worse. Assume that by 2010 there are just 70 million POTS lines in service. That would make cable company share about 36 percent of lines. Of course, by that point, "lines" won't be needed to provide "voice," at least not dedicated, application-specific lines. In a refreshing move, Verizon Wireless and other wireless carriers seem to be moving away from exclusive reliance on walled garden business models for content. Instead of forcing users to buy from the branded portals, carriers now seem to be edging more in the direction of allowing third party content providers to sell direct. Verizon has signed agreements with several companies that sell games, ringtones and other mobile content, including VeriSign Inc.'s Jamster, Fox Mobile Entertainment's Mobizzo and Yahoo Inc. Analysts estimate Verizon's slice of revenue is about 30 percent on such deals. Cingular Wireless has been on the third party route for about two years, and now has 46 percent mobile-content market share, says The Yankee Group. The Yankee Group estimates U.S. mobile content sales will reach $11 billion by 2010. It isn't yet clear how much will come from video. We probably will be surprised by the ultimate shape of the demand curve, as we were surprised by SMS success. BitTorrent and Wal-Mart both are going to sell movie downloads. BitTorrent features material from Hollywood studios Paramount Pictures, Lionsgate and Twentieth Century Fox Film, as well as TV shows from MTV Networks starting in February. Wal-Mart for its part has begun testing digital downloads. To avoid cannibalizing its DVD sales, Wal-Mart offers the download for a few extra dollars to customers who have bought a DVD copy of the same movie. It's getting to be a crowded space. Since August, companies including Apple Computer, AOL, and Amazon have started selling downloads of movies from a variety of studios. Microsoft, meanwhile, started selling film downloads on its Xbox 360 console. Download pricing hasn't standardized yet. Prices range from $8 to $20 per movie. 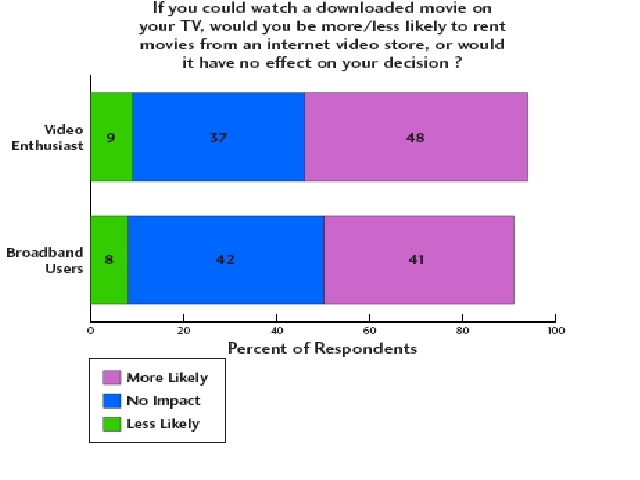 In many cases, purchasing a download is just as expensive--or more expensive--than purchasing a DVD would be. A download is arguably far less convenient as well. All of which is to be expected for a channel in its infancy. Which is why Tektronix's Minacom division recommends loopback testing when doing a VoIP install. 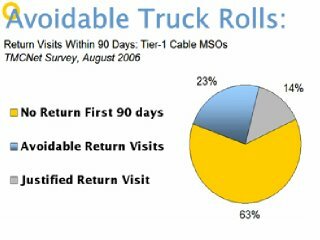 Also, with the complexity of in-home audio-video-PC-networking systems increasing, we wouldn't be at all surprised if telco and cable technicians start having to spend more time on first visits, with a devilishly high rate of return visits for rework, despite more advanced testing. A telco or cable VoIP service is a traditional managed service, for the most part. A customer in-home network running Wi-Fi, VoIP, broadband, video moving between PC and TV, plus PC devices and fixed-mobile integration of handsets is a local area network supporting multiple applications and devices. Setting up a LAN of this type requires more work, and is more tricky, than a managed service with one network termination and then one or two pieces of customer premises equipment (video decoder and ATA, for example). Disney Media Networks Co-Chairman Anne Sweeney says the ability to watch television on mobile devices is a "critical" area of growth. The launch of live wireless TV services, such as Verizon Communications Inc.'s MediaFlo service next year, obviously could provide a potentially lucrative new channel for Disney's top-rated television shows. Sweeney said Disney Media Networks, a unit of Walt Disney Co., expects the ability to watch live TV on cellphones and other mobile devices to help media companies reach new audiences. Disney's ABC Television network has licensed about 250 hours of its top shows "Lost" and "Desperate Housewives" to South Korean wireless phone operator TU Media Corp. "We're learning from Korea about a transition that will be happening in the rest of the world," she says. Asked when she expected live mobile TV would reach the U.S., she said, "I'd say ... certainly within the next 12, to on the outside, 24 months -- more like 12-18." To be sure, mobile video is likely to reach critical mass in markets such as South Korea before that happens in the U.S. market, just as U.S. consumers were slower to adopt mobile services and SMS compared to European and East Asian consumers. So why are mobile consumers in South Korea and Japan such avid innovators in mobile applications? Perhaps in part because they spend so much time away from home, so much commuting time is spent in crowded public transit, homes are smaller, argues Andy Capener, Starent director of marketing. "You just can't carry a laptop on a train," Capener says. It may also be a cultural thing. "They love gadgets and the latest and greatest," he adds. "They are risk takers and have succeeded economically because of innovation, so now it is ingrained in popular culture," muses John DePietro, Starent product marketing manager. But there might be some natural inhibitors in the U.S. market. Fewer people spend lots of time commuting using public transportation. Lots of people commute by car. But you can't very well watch video on your mobile and drive at the same time. So it has been snowing in Denver for 24 hours. Maybe 7 or 8 inches and it is 14 degrees Fahrenheit. Of course, cars have melted some of the snow so now there are sheets of ice mixed in with the packed snow. On such a day I typically postpone my run. But today I slapped a pair of Yaktrax on my running shoes and went out. Yaktrax are the running shoe equivalent of chains for your tires. Worked like a charm. The "Pro" version costs about $30 retail. Great technology. Berggi will offer a "Pull" email alternative to the Blackberry "push" service, a move that extends email mobility to just about any mobile phone for about $4 a month, without requiring a data plan. Consumers will be able to send and receive email on their phones from Internet services such as Yahoo, Microsoft or Google, along with popular instant-messaging services. Document attachments will not be viewable, though. 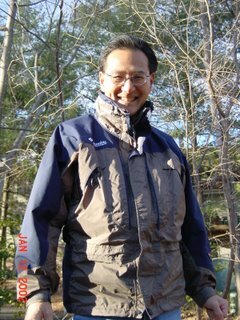 U.S. consumers can sign up on the company's Web site at http://www.berggi.com. 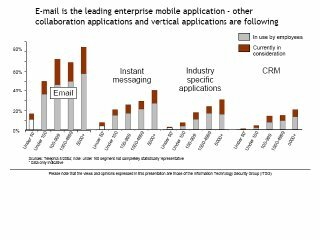 Mail access already is among the most frequently used apps on smartphones, so there is reason to believe email access using the voice channel also will prove popular. Weather sites are hit by about 22 percent of mobile smartphone users. ESPN is popular with nearly 18 percent of users. Mail services provided by Google, Yahoo!, MSN and AOL are used by 65 percent of smartphone users, according to a recent survey by MobileWeb Metrix. 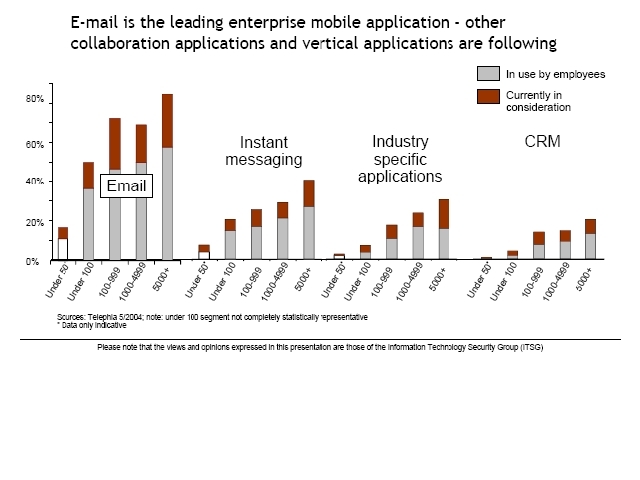 And, of course, email is the leading enterprise mobile application as well. Multiple revenue streams are better than just one. Cable companies get paid by customers, some program networks and advertisers. Newspapers get paid by subscribers and advertisers. So one obvious way communications companies can get ahead is to expand the range of revenue sources, diversifying away from exclusive reliance on end user recurring fees. Advertising and content sales are the obvious early candidates. So far, though, this is most logically provided on a mobile smart phone, personal media player or PC, or on a telco IPTV service. Standard telephones just don't seem to be part of the picture. Which is one reason why visually-oriented IP communications sooner or later will be a standard telco offering. 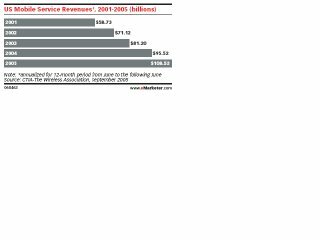 So far, U.S. wireless providers, for example, have quite some way to go before new services revenues contribute anything like the revenue voice services do. 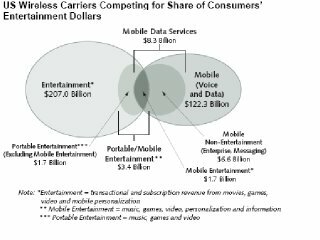 All U.S. mobile revenues from sources other than voice will amount to about $5.4 billion this year. Total revenues will probably top $110 billion this year. 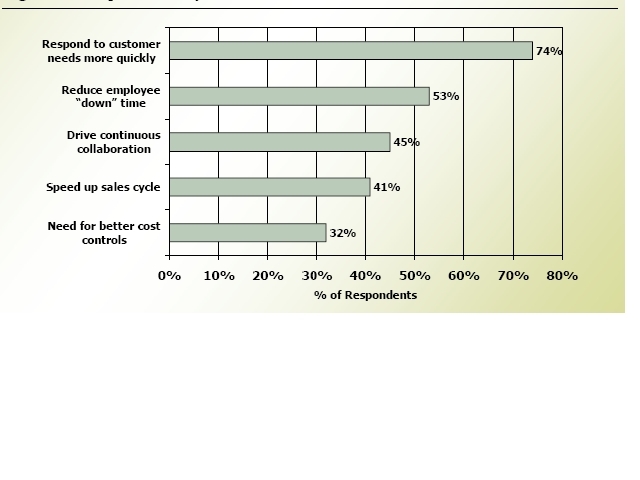 ...but enterprises now are interested in mobiity solutions for external customer-facing and internal efficiency reasons. Still, the single most important reason for equipping employees and associates with mobility support is to respond to customer inquiries faster, say researchers at Aberdeen Communications. U.S. VoIP providers added 1.27 million net subscribers in the third quarter, boosting total sub count to 8.2 million, a year-over-year increase of 130 percent from the same quarter last year, according to Telegeography. Revenues increased a bit faster, up 146 percent year-over-year, to $732 million. 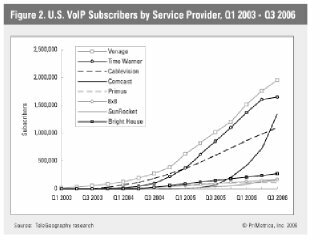 Vonage remains the market leader with 1.95 million U.S. subs. Time Warner is second with 1.64 million subs, but its growth rate braked dramatically. Comcast continues to grow fast, adding 483,000 net subs in the quarter, passing Cablevision and claiming the number three spot. 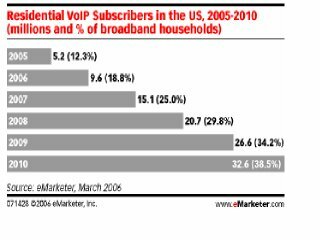 With the notable exception of Vonage, the cable companies are where the high growth is occurring. Independents 8x8 had 169,000 total subs; SunRocket had 156,000 while Primus had an estimated 112,000, says Stephan Beckert, TeleGeography analyst. Collectively, the cable companies had 5.1 million VoIP subs at the end of the third quarter. TeleGeography now projects that U.S. VoIP subs will reach 9.7 million by the end of the year, representing about 8.7 percent of U.S. households, with annual revenue of $2.6 billion. Beckert sees no cause for alarm when evaluating Time Warner's unusual results. "I think in significant part, the slowdown is due to market swaps with Comcast, all related to their dividing the spoils of the Adelphia bankruptcy," says Beckert. "Time Warner and Comcast swapped a few markets to rationalize their geographic footprints, and also dissolved partnerships in Houston and Kansas City." 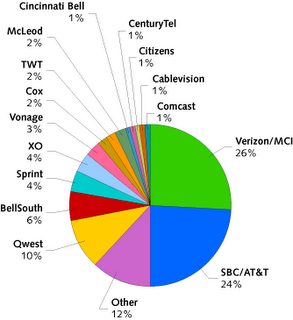 As a result, Time Warner effectively "transferred" 143,000 IP voice subs to Comcast. On the other hand, "it does appear that Time Warner's 'organic' growth is slowing, but one quarter--especially one that involved such significant asset transfers--doesn't make a trend," says Beckert. "I expect we'll need to wait another quarter or two to see if their underlying growth rate really has slowed." In the competitive local exchange carrier (CLEC) market of late has been the emergence of the cable companies and independent telcos and VoIP companies as providers with noticeable revenue share. In the early 1990s, it was believed that the primary competitors to the incumbent telcos would be other newly-formed telcos. Instead, it turns out to be cable companies and VoIP providers, not "CLECs with Class 5 switches." Wireless also is an unanticipated force, to the extent that untethered and mobile communications are in some cases a direct substitute for landline services. To be sure the term always has been a bit imprecise. Many Internet Service Providers get CLEC status just to buy access circuits at lower cost, for example, and aren't retail providers of telecom services in the classic sense. But the framework used to create the Telecom Act of 1996 clearly turns out to have come at a time when the whole communications business was about to morph in any case. It isn't simply the World Wide Web, the Internet or IP communications. Once also has the fusing of broadcasting, print, cable TV and common carrier regulatory models. At one end "network neutrality" is an impermissible interference with the right of free speech. At the other end it is a guarantee against discrimination. Neither model works well for the sort of world we are entering. So the larger issue isn't simply "what is a CLEC?". The more important issue is "what is a broadcaster, publisher or common carrier?". 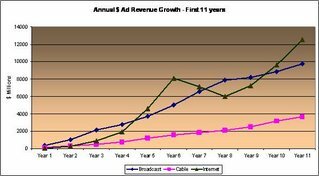 10 Percent Ad, Video Revenues? Vodafone CEO Arun Sarin says social networking, mobile advertising, mobile video, and other advanced applications will generate "10 percent of our revenue within three or four years." Some might consider that target an aggressive posture for a company that today generates $60 billion in annual revenues. $6 billion annually from advertising and video? But Vodafone already gets in excess of 20 percent of total revenues from data services of one sort or another. By some measures, U.S. wireless operators now get just a bit over 10 percent of total revenues from data services. 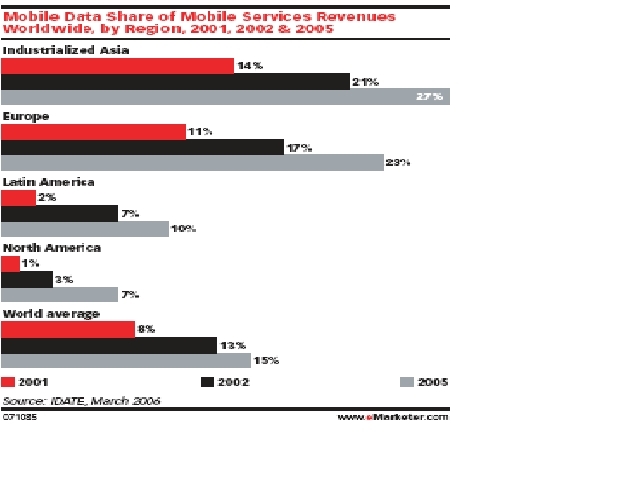 During the first half of 2006, wireless data revenues have been on the rise in North America, Asian and Europe. 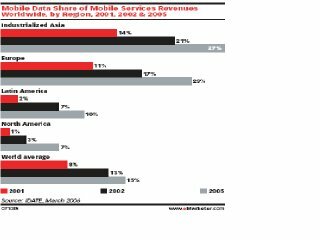 Japan led the way with approximately $10 billion in wireless data service revenues for the first half of 2006. The U.S. market and China followed with approximately $7 billon and $5.5 billion in data revenues. The most successful carrier worldwide in terms of total wireless data revenue for the first six months of 2006 was NTT DoCoMo with over $5.1B in data revenues. It isn't always the case that value can migrate in an established value chain. But the possibility clearly is there as "software as a service," Web-delivered and other "hosted" services start to gain popularity in the small/medium, enterprise, government and non-profit market segments. The reasons are pretty simple. Today, premises networking is complicated. Things break and drift out of tolerance. Lots of new applications are appearing and the variability of end user preferences is increasing. All of that creates management headaches that value added resellers, system integrators and Interconnect firms make a living on. So what happens if software migrates off the premises, and "into the cloud"? Complexity doesn't disappear, but it does migrate. Into the remote data center. Which means there is an opportunity for a rearrangement of value. Providers who run data centers, host applications or provide applications then could become larger providers of value as ways to mimimize premises networking complexity. Also, look at the areas where a recent Yankee Group survey of mid-market executives suggests value can be provided: business continuity, remote worker support and wide area networking. All features and services WAN providers, hosting providers or hosted apps can provide. It's a double whammy. Provide features IT executives and "C" titles already say they highly value, and reduce chores associated with the premises network at the same time. Shift happens. 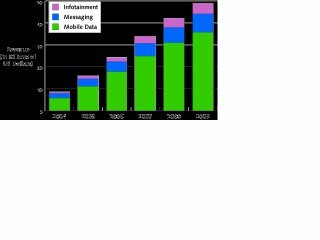 Forrester Research suggests telcos will have moderate IPTV success at first. "After a slow ramp-up, we expect one in four European broadband subscribers to have IPTV within 10 years." Which doesn't make IPTV a slam dunk, financially. Forrester assumes IPTV is a "mature" market, so that telcos will have to undercut pricing offered by cable and satellite competitors. So "we expect the average incumbent to get only €11.24 in net annual IPTV revenues per broadband user in year 10," says Lars Godell, Forrester analyst. The good news is that average loop lengths in dense Western Europe are short enough that Digital Subscriber Line probably will work for many of the video services and applications European operators will want to offer. Many North American providers do not have this luxury and will have to think long and hard about a full rebuild using fiber-to-customer platforms. That has some investors shorting Verizon and going long on at&t, since Verizon is biting the bullet and building a fiber-to-home network, while at&t is taking the more cautious tack of building a fiber-to-node network that mimics in many ways the design of a cable TV hybrid fiber coax network. 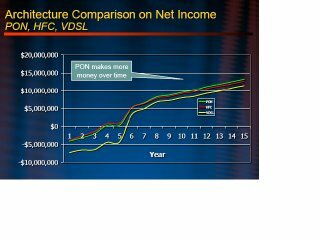 And there's at least some thinking that net income for the expected range of new applications won't vary all that much between a FTTH and FTTN architecture. That, at least, is what Corning argues for a hypothetical community of about 30,000 customers. So why choose the FTTH over the FTTN network? Operating costs, perhaps. 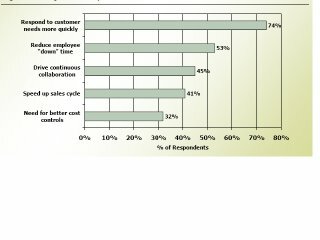 Most observers expect greater operating cost savings with an all-fiber plant. Density, perhaps. Verizon's loops are shorter, on average, than at&t's, so the relative cost of going FTTH arguably are lower than would be the case for at&t. So far this year, Verizon's FiOS network has knocked 30 cents a share off earnings. But there's at least some thinking the penalty will be zero next year. Christopher Larsen, Credit Suisse analyst is among those who think the FiOS build soon will be earnings neutral. Of course, there are two opposed conclusions one might draw from the fiber rebuild: It's a mistake because an adequate return can't be earned or that it's a necessary step that must be taken to preserve the value of Verizon's existing business, while creating the platform for tomorrow's business. We might simply note that Verizon's total access line count fell 7.5% from last year, compared to an industry average of six percent loss. But Verizon also saw a 9.8 percent year-over-year decline in residential lines. So any telecom executive looking at such trends has tough choices to make. 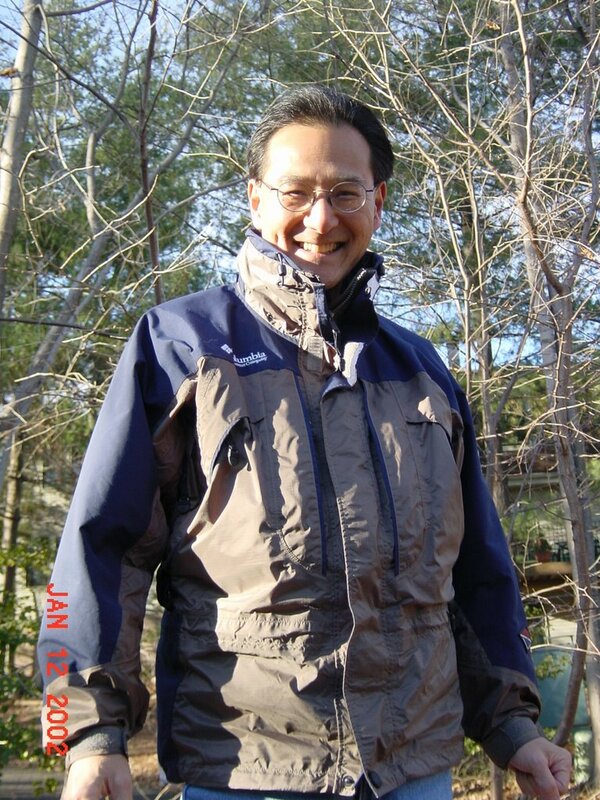 Most fundamentally, invest to grow or harvest a declining business while preparing an escape plan. Unfortunately, no telecom executive can make such decisions without considering regulators. And one has to assume regulators will not let Verizon walk away from its core universal service business. And if Verizon cannot harvest and walk away, it has to reinvest. To be sure, the payoff will not come solely from IPTV and other new service revenues. Operating costs and reduced customer attrition are key parts of the overall payback thesis. To be sure, Verizon could have chosen the FTTN route. But the incremental capital cost for a full-on fiber rebuild was deemed small enough to justify the full replacement route. Sometimes one is faced with several choices, none of which is really "good." So one chooses from among a set of "least bad" alternatives. It doesn't look as though any telecom executives will be seen as heroes just because they got into the IPTV business. If "all they are able to do" is preserve the existing financial basics of the business, that will ultimately be seen as worthy enough. Because the alternative could easily be a business that generates half the current revenue. It sometimes is hard to distinguish between a disruption that upsets the existing order of things from those that extend the current business model. VoIP seems to contain elements of each. But one thing seems clear enough. Disruption that creates new markets or market segments disproportionately comes from those with less to lose. Mobile operator "3", owned by Hutchinson Whampoa, provides an example. It is offering Skype over its 3G networks, using a flat fee data plan. Service is scheduled to start in the U.K. market in early December. Mobile operator 3 has signed a range of deals with internet companies including Google, Skype and eBay in the hope of generating revenues from customers subscribing to use advanced mobile internet services. 3 said it will price the bundle of services in a flat fee structure like fixed line broadband, and they will be available on a new range of handsets called the X-Series to be introduced in the UK on December 1. The new handsets also will support Sling video placeshifting. 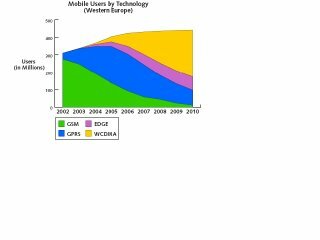 So does the move extend the current mobile model or disrupt it? Some elements of both, in all likelihood. It makes the mobile platform more valuable for all-new applications. But it also undermines the traditional pricing mechanism for standard voice. Google Adds "Click to Call"
Google has added "click to call" features to its Maps feature. So why does that matter? Primarily because it sheds light on the value of a voice session. For example, advertisers who use "pay to call" services are spending money for lead generation, not "calling" as such. So the value of a call is not measured in "cents per minute" but in "sales per lead." And make no mistake: calls are worth more than clicks. The average click price at the national level at the end of 2005 was $1.43, according to Fathom Online’s keyword price index. On average, a sponsored link returned by a search is worth nine to 12 cents per click paid by an advertiser to the search engine that produced the click. 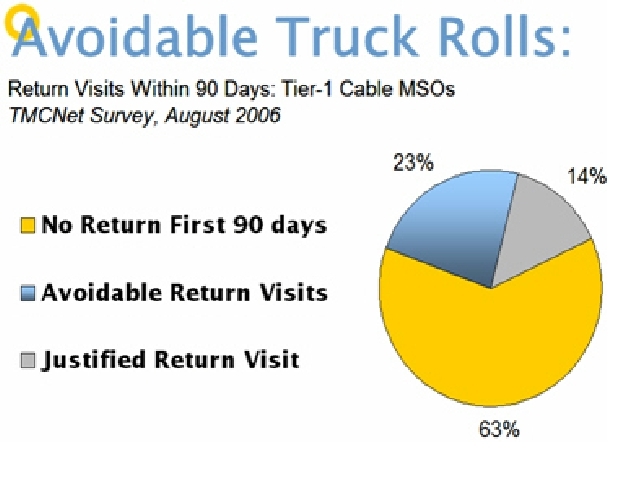 Advertisers routinely pay 10 times that amount for an inbound phone call. That’s $10 for a call, not some cents a minute. That’s why eBay bought Skype. 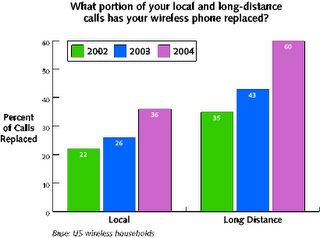 And that’s why a shift from “clicks” to “calls” makes a difference for the broader telecommunications industry. It changes the ways voice communications provide value, and changes the willingness of a company to pay for communications in a certain context. In other words, a call is not worth so many cents per minute, but is worth the value of a “hot lead”, right now. Click-to-call has a simple revenue model which most businesses understand. It is conceptually same as "referral fees." In the real estate or the mortgage business, such leads are worth $30 to $40 per call. Some of the emergency services like plumbers, dentists, locksmiths have up to 50-60 percent conversion rates for click to call leads.That makes sense, since most people onlyh call plumbers, dentists and locksmiths when they are about to buy service immediately. At least some survey data suggests that 71 percent of small to mid sized businesses would rather pay for a phone call than a click to their website, according to the Kelsey Group. The conventional wisdom is that the growth of Internet, Web and mobile advertising will come at the expense of legacy media. 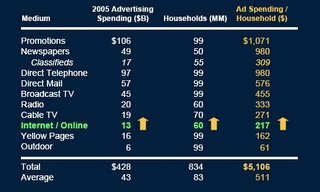 Certainly there is evidence that major advertisers are strongly considering a shift to online and niche media as the impact of national TV network and cable network ad buys drops (in part because of TiVo and other personal digital recording platforms, which allows users to skip past commercials entirely). And everybody "knows" that some media formats, such as newspapers, are declining at the expense of newer forms of media. Which logically leads one to conclude that some formats are "toast." But the numbers don't necessarily suggest this is the case. 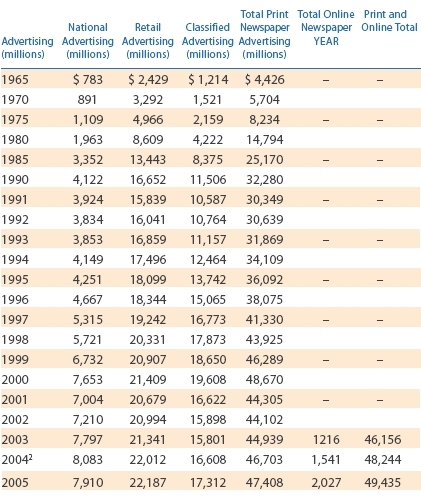 Aggregate newspaper industry revenues unaccountably have risen over the past couple of decades. 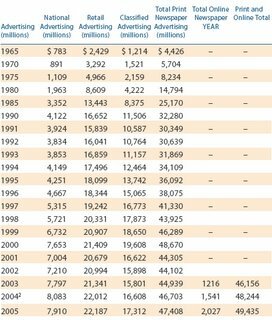 Of course, one has to adjust for inflation, and these figures aren't inflation adjusted. Still, the numbers are striking and counter-intuitive. The point is that some media segments that compete with online, Web and mobile might see cannibalization of existing revenue streams as some business moves online. What seems not captured by analyst forecasts is managerial response. Managers of "declining" businesses might respond more cleverly than some might give them credit for, so that there is both replacement and augmentation of the existing revenue streams. To be sure, Interent advertising continues to grow sharply. It is the fastest-growing segment of media, no doubt. What isn't so clear is the degree to which Internet advertising supplements, and to what degree replaces, existing ad spending. It is conceivable, in other words, that total advertising might grow, even as shifting occurs, and even after factoring in inflation. Right now that's an open question. 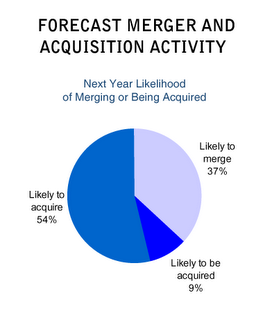 According to a recent survey commissioned by Amdocs, 100 percent of service provider executives in the U.S. and U.K. communications markets think they will buy, sell or merge with one or more firms within the next 12 months. 100 percent! All of them! So ignoring new company formation, and assuming each of the providers carries through, we might forecast a reduction by 50 percent of the number of communications service providers in the U.S. and U.K. markets, within about a year. One also then would expect a similar consolidation on the supplier side of the industry. speaQ is a softphone application supporting VoIP on mobile handsets with access to Wi-Fi or EVDO access. It currently runs on Windows Mobile 5.0 Devices and under Linux on the Sharp Zaurus, and is in alpha testing at the moment. Users with wireline VoIP accounts should have access to full call logging, contact manager integration, and DTMF on any 300Mhz+ Windows Mobile devices, such as the Palm Treo 700w, HP Ipaq 2495, etc. or under Linux on the Sharp Zaurus 5600. Mobile providers might not be crazy about VoIP on mobiles, but it's hard to see how it can be stopped, short of complete blocking of VoIP packets. And that could be dangerous. Aside from the inevitable customer irritation, all that is required is for one of the national wireless providers to turn this into a customer acquisition opportunity ("We don't block VoIP") and the pain might be significant. And there doesn't seem to be much doubt about the emergence of smart phones as the dominant paradigm in mobile handsets. In Western Europe, most handsets will be smart phones, and already most mobile browsing is done outside an operator walled garden, on the open Web. It's hard to see how the VoIP genie can be stuffed back in the bottle. Today, more than 80 percent of all mobile search and content interaction in the U.S. mobile market takes place "on deck" (within a handset application) as opposed to "off deck" (within the mobile Web or WAP environment). Outside the U.S. market--in Europe, for example--about 80 percent of all mobile search and content interaction occurs "off deck" on the open Web. Mobile providers, of course, are anxious to snag as much as the anticipated revenue growth in mobile advertising for themselves, and the "open" approach favors Google, among others. One would think there's ultimately room for walled garden and open approaches, much as there is room for walled garden linear video and on-demand programming, as well as "open" Web-delivered services as well. Just about everybody in "big media" worries about Google and it appears wireless carriers are in that camp. Heck, just about all carriers are probably in that camp. 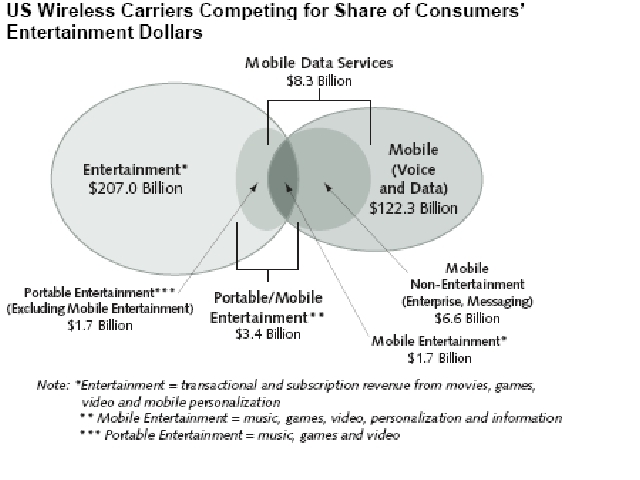 No carrier wants to be a "dumb pipe" and that means insertion into the ad business value chain. That said, over the long term, it is highly unlikely, if not impossible, for any walled garden, no matter how rich in features and content, to replicate the richness of the whole Web, and the growing richness of the mobile Web. This is not going to be a war delivering total victory to either "walled garden" or "open Web" partisans. There's simply too much content, too many providers and no ability to lock it all up. The only thing we can say with any certainty is that mobile content and the advertising that rides on it are going to get big. At some point, retail prices paid for advertising are going to better reflect the share of attention mobile and PC-based Internet sites and services are getting. At long last there's evidence that a shift of disposable household income in Western Europe, North America and parts of Asia is occurring. That's important because the percentage of disposable income spent on things such as communications has remained stubbornly constant. 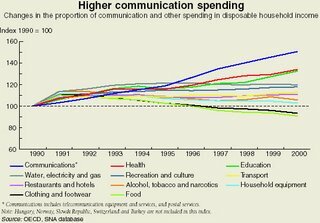 In other words, households have spend well less than 2 percent of disposable income on all things related to communications. That's a problem for service providers who invest in expensive infrastructure and simply cannibalize revenue in legacy parts of the business. Without a shift in the consumption function, there's a real problem. So the good news is that the function seems to be shifting. And not just in the communications area. The global entertainment and media industry is in a solid growth phase and will increase at a 6.6 percent compound annual growth rate (CAGR) to $1.8 trillion in 2010, according to PricewaterhouseCoopers. Notably, there's a simultaneous shift away from physical distribution and towards digital delivery. Global spending using online and wireless channels reached $19 billion in 2005 and will increase to $67 billion by 2010, PricewaterhouseCoopers says. “Virtually every segment of the entertainment and media industry is shifting from physical distribution to digital distribution of content," says Wayne Jackson, global leader of PricewaterhouseCoopers' Entertainment & Media Practice. That creates substantial revenue opportunities for any number of players in what used to be the legacy telecom space. Another View of "Minute Stealing"
For all the industry hand wringing about Skype and other messaging providers, wireless substitution continues to be a major driver of usage decline for wireline networks. The other emerging trend is competition from cable companies, as the threat posed by the indepdendent competitive local exchange carriers clearly is lessening. As research by The Yankee Group suggests, lots of households now originate a significant number of outbound calling minutes from mobile phones, including both local and long distance calls. And while it is undoubtedly true that voice will in the future be tremendously enhanced in feature richness, customers today doggedly continue to buy on the basis of price and as a feature-for-feature replacement for plain old telephone service. We think people "ought" to buy because of feature richness, and increasingly they will. The problem is simply that consumers today buy for reasons they want, not the reasons we think they ought, and POTS substitution is proving quite popular. Feature richness clearly is coming, and getting to be a bigger part of the "yes" decision for VoIP. But anybody who has worked in the business phone system business for any length of time, or been an analyst studying user behavior, can tell you that most users routinely rely on just a few features of the business phone systems. That doesn't mean all sorts of features are unnecessary. The other bedeviling problem is simply that, like our consumption of cable TV, each viewer has about seven or eight "frequently watched" channels. The issue is that each of us watches a different set of seven or eight. The bottom line is that simple "minute stealing" (product substitution) is going to drive most of the volume in paid minutes for quite some time. Unaccountably, some service providers who are resellers continue to build their businesses on hopes, expectations and dreams that are not supported by reality. There still are some executives who think they always will be able to buy T1 loops, and that T1 or NxT1 is enough bandwidth for a business customer. Others think there's a way to generate reasonable margins on resold access services in a market where access prices keep going down. So pay attention when a firm such as Covad Communications Group, which traditionally has based its business on resold access lines, acquires the assets of DataFlo Communications, a Chicago-based broadband wireless provider. That's the sixth market where Covad operates its own facilities. In part, the acquisition helps Covad break the NxT1 bandwidth barrier, and thereby increases Covad's addressable market. Just as importantly, it allows Covad to contain its costs and boost its margins. Covad now offers broadband wireless in six markets nationwide: Chicago, Los Angeles, San Francisco, San Diego, Orange County, and Las Vegas. There's still some carping about what regulators will and won't do to force incumbents to open up their networks, but the time for such thinking has passed. Access may be the foundation upon which a business can be built, but it increasingly isn't much of a business in its own right, even for large carriers who own their networks.Keep in mind that Verizon keeps rolling out FiOS connections, at&t is going to do something similar, four wireless carriers push 3G service, and cable modems, Wi-Fi, WiMAX and broadband over powerline services also are available or coming. All of which means service providers have to figure out what else they can create and deliver that provides fatter margins than simple access or simple voice. And that applies equally to owners and renters of access facilities, though more crucially to renters. Because the neighborhood is goin' condo. For those of you convinced that WiMAX is going to be a great platform to compete with cable modem and Digital Subscriber Line services, you might want to take another look. ABI Research Senior analyst Ken Hyers says recent conversations with major wireless carriers confirmed that "the presence of as few as five users simultaneously receiving unicast content from a single cellular base station carrier band can seriously degrade data access for those subscribers." ABI concludes that broadcast is the only way to get mass market uptake of video services because unicast (video on demand) crashed the network. So ABI predicts mobile broadcasting—as opposed to streaming "unicast" services—will become the model of choice for distribution of live television and movies to mobile devices in the United States, and by the end of 2007 approximately four million subscribers will receive entertainment and information on their wireless handsets via mobile broadcast technologies such as DVB-H and MediaFLO. Now, one can argue that WiMAX will have so much more bandwidth such limitations can be overcome. At low subscriber penetration rates, perhaps. But some transmission platforms can't handle huge success, as high penetration clogs the network. As far as unicast services, satellite and cellular are prime examples. So before we all go crazy and conclude that linear formats are toast, remember that unicast ("on demand" video streaming) can quickly crash a network. Multicast has a permanent future. A commentator recently noted that "Some 62 million Americans are still using their telephone lines to dial into the Internet, according to recent figures from the Pew Internet and American Life Project. 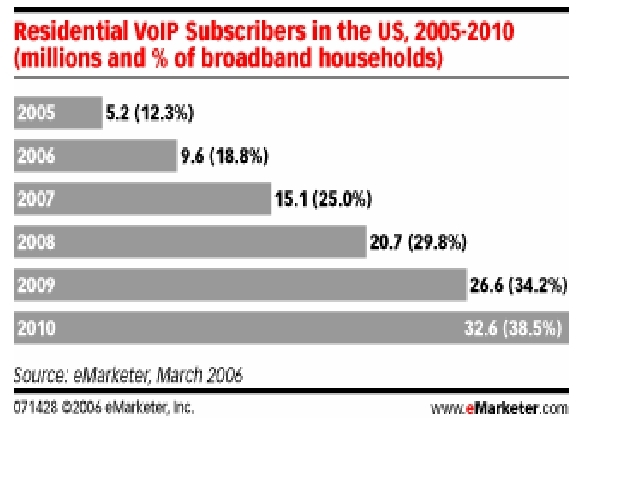 The direct implication is that U.S. consumers suffer from woeful broadband availability. 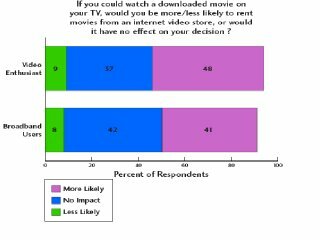 Other figures from research firms like Forrester show that only about 40% of Americans have high-speed connections at home, 30% rely on dial-up and 25% don’t have any Internet connections at all. "So how come the US is lagging behind most of the developed world in broadband access?," the commentator asks. The problem with such thinking is that it likely is completely wrong. Sure, broadband bandwidths started out pretty low. But they are going up fast. And per-capita broadband consumption in the U.S. market does lag many other countries. And sure, we'd have much higher penetration of just about anything if we are willing to subsidize it. Where one starts doesn't matter. Where one ends is the issue. And there's ample historical evidence to suggest broadband adoption isn't an actual issue, from the perspective of where we will wind up. And one might point out that it is far easier to do something in a small country than across a whole continent, as a completely practical matter. First of all, history actually suggests that innovations useful to consumers get adopted. Period. When people want something, they buy it. There's a demand element here, not simply a supply dimension. What isn't useful doesn't get used. 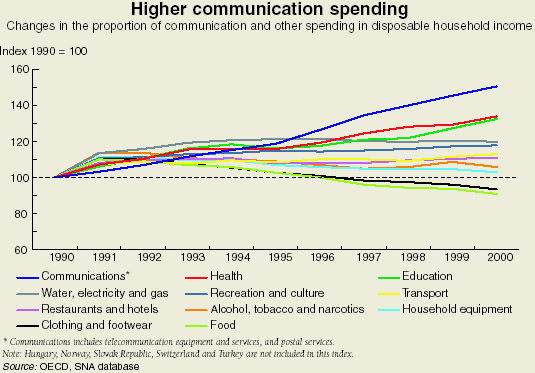 And many important communications innovations--including the Internet, cable TV, TV, radio, compact disk audio and DVD players, for example--have in fact propagated exceedingly rapdily with no much regulation besides spectrum allocation, RF emissions control and some amount of franchising, in some cases. Things people don't find as useful, such as C-band satellite dishes, eight-track tape players, "videotext" and so forth, just don't make it because people don't find them useful enough, over time. Then there are the examples of innovations such as mobile phone use, where U.S. consumers lagged far behind customers in other countries before penetration grew spectacularly. Something along the same lines appears to be happening with short message service: slow, under-par adoption followed by acceleration that ultimately closes the usage gap. The point is that the same sort of alarmist fears were raised about mobile phone usage itself. And that doesn't seem to be any sort of problem at the moment. So maybe some perspective is in order. 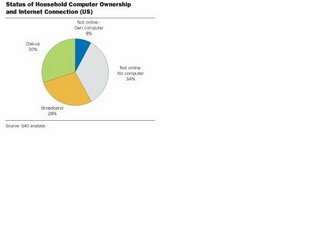 If "25 percent" of U.S. homes have no Internet access at all, that might be because 25 to 30 percent of U.S. homes have no personal computers in them. And if telcos and cable companies keep adding customers at the furious pace they now are racing at, there won't be any homes with PCs left to convert to broadband in just several years. It might be easy, convenient and satisfying to complain about broadband adoption. But it is wrong to ignore the evidence. And the evidence, both historical and current, suggests that broadband penetration is accelerating exceedingly sharply. And, oh by the way, some people don't want to buy broadband yet. We'll fix that, in a bit. But just because people don't buy as much of any product as the producer would like does not mean there is market failure. It means people don't want a product, priced and packaged the way it currently is. There could be lots of good reasons for those decisions. And they are persuadable. 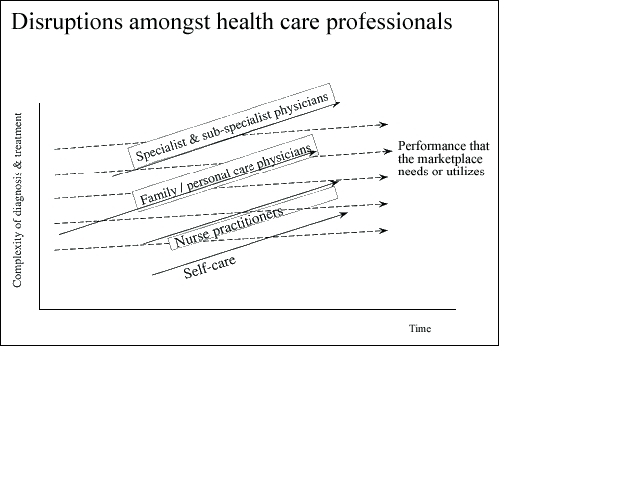 But the problem isn't necessarily or primarily market structure and regulation. Just like all those other communications-related services we now cannot live without, we will have virtually ubiquitous, high-quality broadband at affordable prices. It would be ahistorical to suggest anything else, and requires abandonment of any actual direct observation of current broadband adoption rates. Yard work. Changing the oil in one's car. Laundry. Dishes. Other chores. It isn't the point of life, but it underpins life. Unfortunately, video services are something like that. Service providers must go there. But the payback isn't going to be there, if all one is looking at is "new revenues." In fact, the business case has to rest on a combination of sources, including churn reduction, operating cost savings and strategic positioning. Executives never like to admit it, but a primary rationale for fiber to customer and other broadband upgrades is simply to hang on to the customers and revenue streams one already has. Beyond that, there's the trading of market share with the cable companies: you'll take some of mine but I'll take some of yours. And then lots of other contributors to the revenue ledger, but nothing like a killer app. Rather, a longish tail of niche services, features and revenue streams. As important as entertainment video is going to be for wireline and wireless service providers, it also is important to remember that it is going to be a low-to-no margin business, in some cases. So don't be seduced by significant average revenue per unit boosts from video services. That's helpful, to be sure, but is going to come at a fearful cost. The reason is simple enough. Any gross revenue obviously will have to be split with content owners and distributors. In the cable TV industry, larger operators have enjoyed 40 percent margins for basic cable, up to 20 percent for premium services such as Home Box Office, and perhaps 10 percent for pay-per-view fare, on average. Few telcos likely won't do that well, just as few smaller and independent cable operators are able to. And the general rule is that the more targeted a video offer becomes, the more the margin shrinks. Note the progression from the highest-viewed cable fare to the least viewed. 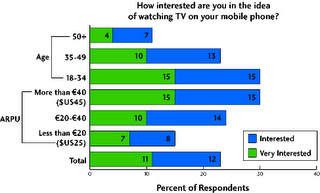 Margins progressively drop as viewership drops and technology intensity increases. While it is interesting that Apple is considering a retail price for new releases of about $15 (and negotiations apparently aren't finished), it doesn't appear that Apple's wholesale price will be much below $14. So Apple's "gross" on each new release sold is just about $1. That's helpful, but not by itself a compelling business proposition. Then there's Wal-Mart, which sells something in excess of $6 billion worth of DVDs every year, making it a sizable player in the prerecorded video business, if not strictly in the on-demand business. Up to this point Wal-Mart's wholesale price for new releases has been something on the order of $17 a disc. So compare that $17 with the price of the most-recent new release you've purchased and you'll get some idea of Wal-Mart's margin. And, oh by the way, that might be a negative number, since Wal-Mart essentially merchandises new release DVD sales as a lure to get shoppers into a store. So this is going to be a whole lot of work and a whole lot of capital for pretty slim actual revenue gains, once the content owners get their cut. Which is one of the reasons we also argue service providers shouldn't take their eyes off the voice and data ball, which is where most of the actual margin, not to mention gross revenue, is going to come from for the foreseeable future.